If you didn't have a chance to grab the latest release from DRF crew, you'd better get your money right, cause Northern Cali vets are already working on their next project, which is dropping March 17th. 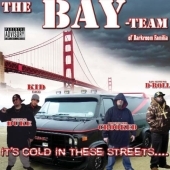 This time it will ba a group album from The Bay-Team - a subgroup of Darkroom Familia, which is made of Duke, Crooked, K.I.D. & D-Roll. The album will be titled "It's Cold In These Streets" and will feature 14 tracks with production from Darkroom Studios and Dub of Psychodelik Productions. Stay tuned and hit DRF on MySpace. Better be prepared for a new collaboration between Vallejo and San Diego artists. 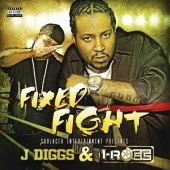 J-Diggs & I-Rocc duet album will hit the streets March 17th and will be called "Fixed Fight". This project will include street anthems like "Fast Life" with Smigg Dirtee and "Life Ain't A Game" with A-Wax. 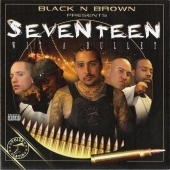 You'll hear more appearances from Ecay Uno, Cricet, Tez, Don Diego, Baby Bandit and others. The Bay Area legend Andre Nickatina will release his next collection of best tracks February 17th. 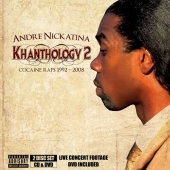 The album will be entitled "Khanthology 2: Cocaine Raps 1992-2008" and will feature best gems from Andre's discography. This project will also include a DVD with live concert footage and will drop under I-Khan label. Check Andre on MySpace. 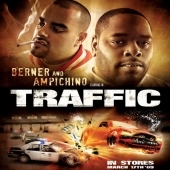 Frisco rapper and entrapreneur Berner hooked up with Akron, Ohio artist Ampichino to release a duet cd called "Traffic". 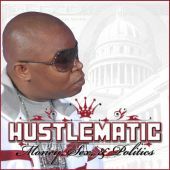 Album will hit the stores March 17th and will be released under Bern One Entertainment. You'll get beats from Cozmo, Gennesse, Joe Millionaire, Mid West and West Coast Flavor. 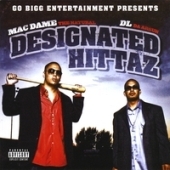 Check official MySpace page for "Traffic" album. 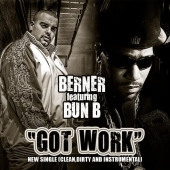 Also be on the look out for a street single from Berner and Bun B, which is called "Got Work" and will hit iTunes February 3rd. Not that long ago rapper Cash Crop (aka B-Tee) released solo cd called "The Harvest". Right now Sonoma artist is back with another solo joint called "Out Here Grinden". The album will be released soon on PistolGrip Productions. It will feature verses from Big Tone, Lil Coner, Lil Raider, Louie Loc, Davina, Berner, Tito B, Mike Marshall, Feddy Hustle and more. 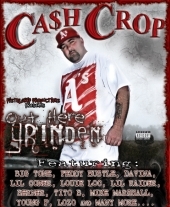 Check Cash Crop on MySpace and visit us daily for more hot news. Shady Nate of Livewire camp is working on a new long play solo project. He has already dropped a few mixtapes and street releases. His upcoming full length album will be named "Gasman: Unleashed" and will be released under Livewire Records and Town Thizzness. We already know it will feature single called "Sip Sumthin". Check the cover and visit this Oakland artist on MySpace. More info coming soon to BayUndaground.com. 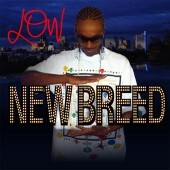 Richmond rapper Low has freshly dropped a new solo joint called "New Breed". It was released under 360 Music label January 20th. 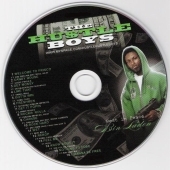 Album features single with Keak Da Sneak entitled "Choozin" and other tracks with appearances from Brotha Lynch Hung, Mac Dre, Lil Ric & Sam Bostic. Production is handled by Rick Rock. Check him out on MySpace. San Jose Latin representative will release a new solo album soon. 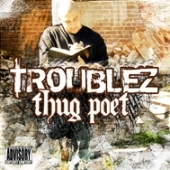 Rapper known as Troublez will drop a project called "Thug Poet". 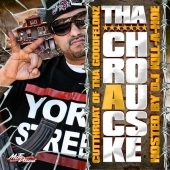 The cd will feature guest appearances from Equipto, Thugzy, Gypsy Luv, No Remorse & Raulie B. 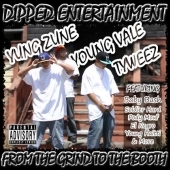 Visit Troublez on MySpace and check us out daily for more info on this one. The third part of Big Rich's mixtapes is in the works right now. Be on the look out for "Get Down Or Lay Down 3" dropping soon. His upcoming full length album called "Heart Of The City" will drop April 14th. As for now you can get Vol. 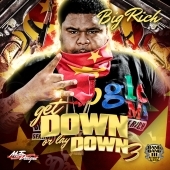 1 and 2 of "Get Down Or Lay Down" for free on Big Rich's new blog website. Also visit Fillmoe rapper on MySpace and check us out daily for more news. 03. Mashin Old Schools - Duke, Crooked & K.I.D. 12. To The Beat - K.I.D. 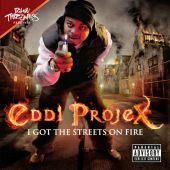 There's a brand new solo by Eddi Projex coming real soon. If you haven't heard of this Oakland rapper yet, then you should definitely pay more attention. His second album will be titled "I Got The Streets On Fire" and released on Town Thizzness. You'll hear the production by Swerve, Eric B, Tracklordz, Dublin Beatz, Harm, MastaMindz, Steven King, Mechanix, Trumpet Boy and Rellski. Stay tuned to BayUndaground.com for more information coming soon. 14. 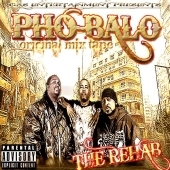 Life Story f. Mistah F.A.B. 09. 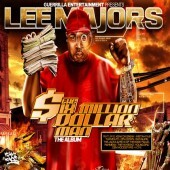 Weekends - Lee Majors, Jacka, Keak Da Sneak & Mistah F.A.B. More Sacramento news today. Two youngsters - Tall T and Jazz Jr. known as The Looney Boyz - will drop their debut album on March 3rd. 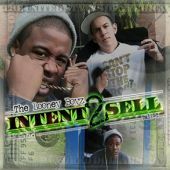 It is titled "Intent 2 Sell: The Street Tape". You can see the draft version of the cover on the right. BayUndaground.com will feed you with more news soon. As for now visit artists' myspace pages: Tall T and Jazz Jr.
08. Holla What's Up f. Frost & D.B.A. 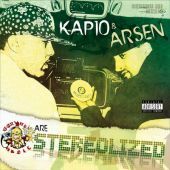 San Fracisco Latin giant Mr. Kee is working on his new solo product. 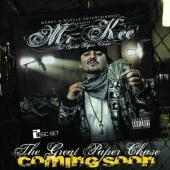 It will be a 2 discs set album entitled "The Great Paper Chase". 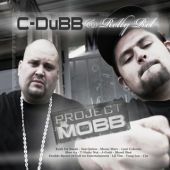 The project will be released under Money-N-Muscle Ent. and will feature Chingo Bling, Turf Talk, Black C, Celly Cel, San Quinn, Doonie, Balance, Ad Kapone, Jay Tee, Louie Loc, Chunk, S.B. and more. Stay tuned and visit Kee on MySpace. There's finally a brand new album from the Vallejo representative J-Diggs planned to drop on January 20th. His 3rd solo - "Jdiggs.com" - was postponed many a time, but it will finally be here in a couple of days. As soon as more information is revealed, we'll let you know. Livewire Records from west Oakland is announcing more releases for this year. 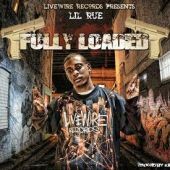 March 2009 is a release date for Lil Rue's debut album. So far we don't have any more information apart from the fact that it will be titled "Fully Loaded", but check BayUndaground.com for more details coming up. Hit Lil Rue on myspace. 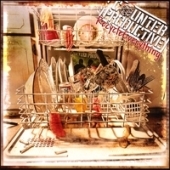 Another relase from Livewire Records is scheduled for April 2009. 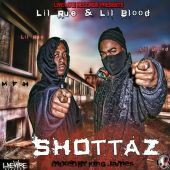 It's going to be a collaboration from two members of Livewire Da Gang: Lil Rue & Lil Blood. 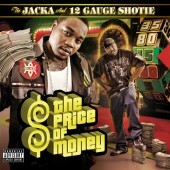 According to current information "Shottaz" will be a mixtape mixed by King James. More information coming this Spring. 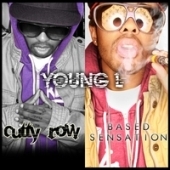 You may peep Lil Rue's and Lil Blood's myspace pages. 19. Extra Clip - Smurf Lucci, E Gegs & B.K. The 408 rapper Playa Rae is making another movement with a new compilation called "Teal Town Boyz". 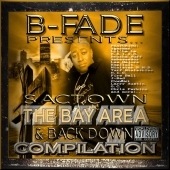 It is mostly filled with San Jose artists, yet you'll also hear people like Mr. Kee, M-Dash or Trey C. As for the SJ representatives there'll be verses from Playa Rae, Stik Gilatine, Crhyme Boss, Jae Rilla, Tekpot, Jay Da Butcher, Blac, Scrilla Mac, Staynless, Tha Critic, Silence, C.T., Gangsta Reese and more. 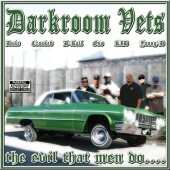 The album will hit 408incshop.com and iTunes in a few weeks. We'll keep you posted with the tracklist. 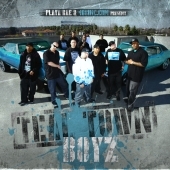 Check "Teal Town Boyz" project on MySpace. 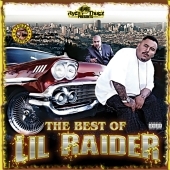 Keep your eyes on the other Nasty North release - the first collector's item with greatest hits from the Vaca's Latin rap scene pioneer - Lil Raider himself. You'll find 17 tracks on "The Best Of" cd with appearances from stars like J-Diggs, JT The Bigga Figga, Rydah J. Klyde, A-Wax, Doonie & Big Tone. The production will be handled by the immortal Nasty North producer Filthy Fill and Sav-It-Out beat maker Kev Knocks. 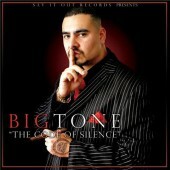 The album will hit the stores March 17th and will be released under BnB / Thizz Latin. For those waiting for the whole new cd from Lil Raider called "They Predicted I'd Be Dead Or N Prison" you'll have to wait a bit longer, as it's dropping in a few months. Check Raider on MySpace. Baby Bash and Jay Tee fans will be pleased with their new release coming out this month. 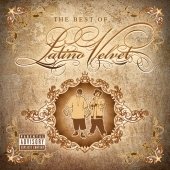 "The Best Of" from Vallejo duet Latino Velvet will feature tracks with E-40, Mac Dre, Celly Cel and more. It will drop under 40 Ounce Records. Stay tuned. The Crest Creepaz member Shigady will drop his new release very soon. You can already pre-order "S.H.I.G. 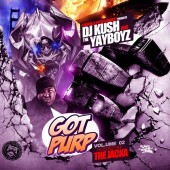 : Talkin' Bout Money Volume One" on RapBay. 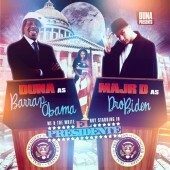 The album is a mixtape hosted by DJ Fresh and mixed by DJ Menace. 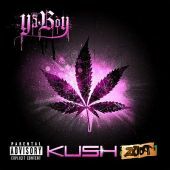 It will feature verses from Young Jeezy, Akon, J-Diggs, Mistah F.A.B., Johnny Cash, Treal Real, Reek Daddy and more. 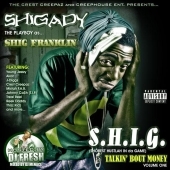 Check Shigady on MySpace. 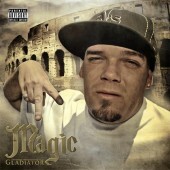 Be on the look out for a new album from The Delinquents member G-Stack coming out February 17th. 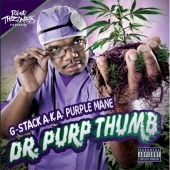 The project will be called "Dr. Purp Thumb" and will be released under Town Thizzness / 4 The Streets / SMC Recordings. 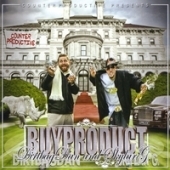 Stay tuned to BayUndaground.com for more info flooding the net soon.